When most of us think about getting older, we think about retiring from our jobs, tv dinners, and maybe if we’re lucky, a winter home in Phoenix. Unfortunately, more and more seniors are facing a much more daunting hill to climb when they retire: crippling debt. Just like the rest of the population, seniors are taking on more and more debt. If you’re in this boat, or think you might be at risk of slipping into it, don’t worry, take action! There are many steps you can take to free yourself from debt. We cover a few in this article, but for more information get in-touch with your financial advisor. These simple steps can help you reduce your debt and enjoy your retirement debt-free! If you’re dealing with debt, hide your credit cards under the dresser for a while. This will help you alleviate your debt much faster, plus it will make you feel great and your house won’t be as crowded with a bunch of useless items. If your first financial priority every month isn’t to pay off all your creditors, you’re doing it wrong! You need to do this because, if you don’t your credit rating could take a hit meaning you won’t be able to borrow money as easily, etc. If you at least make your minimum payments, your credit rating will go along unscathed. Banks are not always the most people friendly institutions, but that is changing more and more these days. However, it is possible that your bank may lower your interest rate, helping you to get your finances under control sooner rather than later. If your first request for a lower interest fails, keep trying, it never hurts to ask and in this case the bank wants its clients financially sound so they deposit more money. Make a Budget… and Stick to It! A budget is a simple way to assure that you’re maintaining a balanced lifestyle. Look inwards, see what you need and what you don’t. Many times, people have a lot of monthly subscriptions or purchases that are unnecessary and could be cut. Remember to be tough with yourself! We are all very lucky to be living in Canada for a lot of reasons, but in this case it’s because Canada has a ton of non-profit agencies that are dedicated to helping us free ourselves from debt. 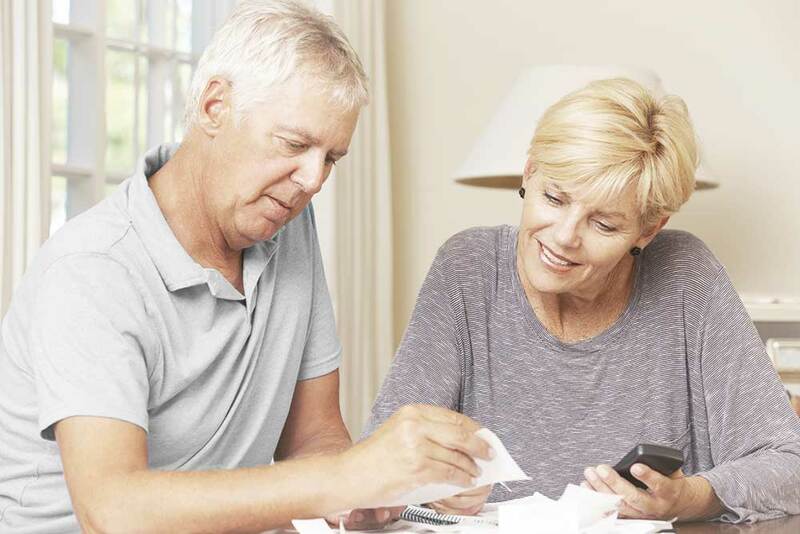 Remember, carrying debt has become the norm for Canadian citizens of all ages, especially for seniors, and ignoring the problem will not make it go away.